1. Taking a night flight to Dubai and watching palm trees from the window of your airplane. You will not believe it with your own eyes. The craziest thing I have ever seen. Is it true or am I dreaming? 2. Visiting the Palm Jumeirah and then the taxi driver brings me to the Atlantis the Palm Hotel to see the Aquarium and more…so much luxury in one place than I have ever seen anywhere else in the world. 3. Allowing myself a drink in the most luxurious hotel in the world, the 7 star hotel Burj Al Arab. Once in a lifetime experience. 4. Having lunch in The Meat Co restaurant in the Madinat Jumeirah. 5. Trying to wear an abaya and making fun of the way I look. The shop assistant was glad to help me and laughed at me as well because abaya and I don’t mix well at all. 6. Enjoying the night life in Dubai is like participating in the fairy tale of 1001 nights. 7. Watching the tallest building in the world looking high high high above the clouds… the Burj Khalifa skyscraper. 8. 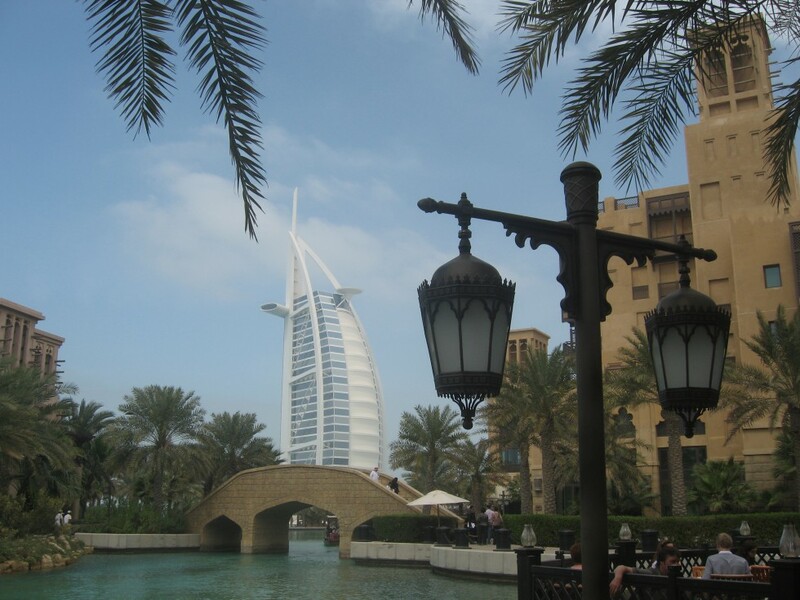 And of course experiencing shopping in Dubai’s shopping malls and in Dubai’s souks such as Dubai Gold Souk. 9. Visiting Dubai on February and wearing sandals when you know that it is a freezing cold back in Europe. Don’t forget to change shoes once back in Europe, otherwise people will look at you like an alien. Although they say that everything in Dubai is artificial, on my opinion it is worth visiting. 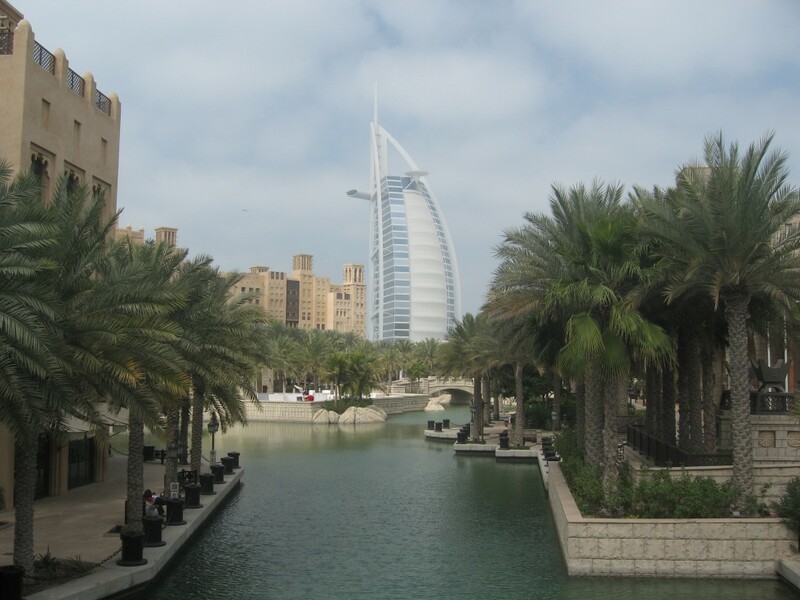 Every city has something to offer and Dubai is very different from Europe. That’s enough for me to make a place an interesting place to visit.